Enjoy the weatherproof protection of a Henri Lloyd jacket with the looks and function for everyday use. 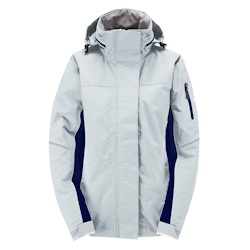 The Sail Jacket is fully seam taped and is made with 100% waterproof, 100% windproof, highly breathable TP1 fabric and YKK water resistant zippers. This durable, weatherproof jacket has been designed for multi-use without compromising the function or integrity of the garment.